Today, house cleaning is no longer a luxury just for the well-to-do. Many families with moderate incomes choose to employ a maid or cleaning service. 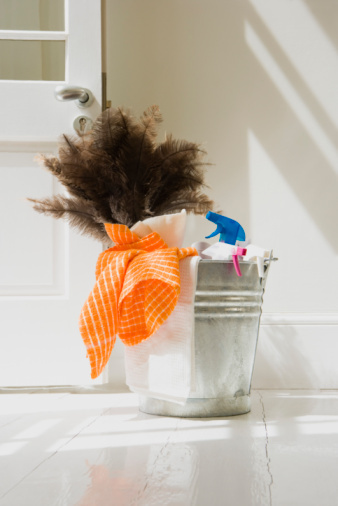 If you are wondering about weekly rates for house cleaning, keep a few points in mind. Rates vary widely depending on a number of factors, some of which you can control and some of which you can not. The best way to get an accurate idea of prices in your area is to call and talk to individual cleaners and cleaning services. Some may provide a price range over the phone or by email and most provide free in-home estimates upon request. Weekly rates for house cleaning vary widely across the country. The low range of weekly rates for house cleaning start at minimum wage if you are willing to hire an individual who may be young and inexperienced. Individual cleaners charge as little as $10 per hour up to $30 per hour or more, depending on other factors. Cleaning services charge in the range of $30 to $50 per hour depending on location. Of these, franchise cleaning services are often the most expensive option. Prices may be quoted by the hour, by the job or by the room, depending on the company. Ask about how prices are figured and any additional costs not included in the basic price such as fees if the company is locked out of your home on the day of the cleaning, charges for cleaning supplies and price increases if cleaning your home is taking longer than expected. Smaller cities often have a lower cost of living and house cleaning is no exception. Find lower cost house cleaning in large cities by seeking an individual to clean your house. House cleaning can be surprisingly low cost in bigger metro areas with large populations of minimum wage workers or high unemployment rates. The average weekly rates for house cleaning depend on the cleaning you expect to have done. Individual maids and small companies usually offer greater flexibility in cleaning options, though you should expect to pay extra if you want several additional tasks done. Expect to have general dusting and vacuuming, kitchen cleaning and bathroom cleaning done by most cleaners. Larger companies may charge for extra services by the hour or on an individual basis. Ask for a detailed description of the cleaning typically done in a home and for a price list detailing additional services. Individual cleaners, or maids, often charge lower weekly rates for house cleaning. This is not always true, however, so interview more than one person and keep an open mind until you have details regarding price, cleaning done and experience of the cleaner. Residential cleaning services charge more because of increased costs of operating a business, but they can also provide more dependability and shoulder the burden of screening and training the individuals coming into your home. The house itself is naturally the biggest factor in the weekly rate you are charged for cleaning. Size, condition and maintenance of a home all factor into the time required to clean it. Additionally, clutter or numerous decorations make cleaning more difficult and time intensive. Some companies will request that picking up be done prior to their arrival to ensure their ability to clean an area, a national franchise residential cleaning service. Even the type of materials in the home, from appliances to flooring type, change time expectations for cleaning. A typical 2,000 square-foot home can take anywhere from three to six hours to clean depending on these considerations. Ask potential cleaners about the amount of time they plan to spend in the home to get a better idea of expected thoroughness. Ask about cleaning supplies and equipment. Some maids and services provide their own, some require you to provide these items. Some may even charge extra if they must bring their own supplies and equipment. Get references from individual cleaners. Get information on employee screening, background checks and training from larger residential cleaning services. Always ask for proof of liability insurance and bonding whether hiring a service or an individual.